August 15th, 2018, was a very special day for Farmers Alliance. As we marked our 130th year of protecting our policyholders, our 12th President, Brian Lopata, was welcomed to the FAMI-ly. Brian will begin his duties as President & CEO on August 27th, but this special celebration allowed he and his family (Betsy, Andrew and Gavin) to meet the FAMI-ly at Farmers Alliance. 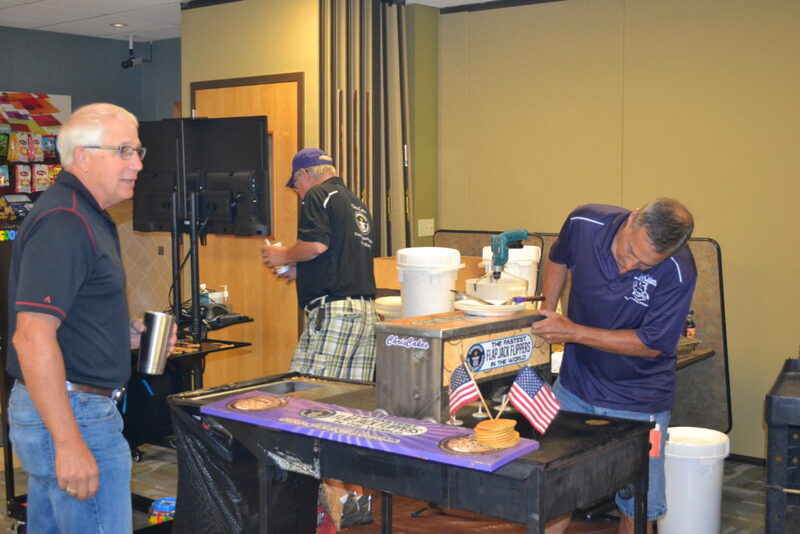 The day of celebration began with a delicious breakfast provided by Chris Cakes of Wichita, Kansas. The pleasant aroma of freshly cooked pancakes, bacon and sausage filled the halls of Farmers Alliance as employees gathered for breakfast. Even though, Chris Cakes is known for their flapjack flipping, they are extremely talented in pancake art as well. The celebration also included a fun evening as well. Various food trucks began pulling into the north parking lot around 4 pm to set up shop. The food trucks (Big Chill Ice Cream, BS Sandwich Press, Hot-2-Trot Gourmet Hotdogs, Lo Lo’s Crepes, Smokin’ Diner and Urban Skillet) offered a variety of main dishes and desserts, allowing guests to have several choices. 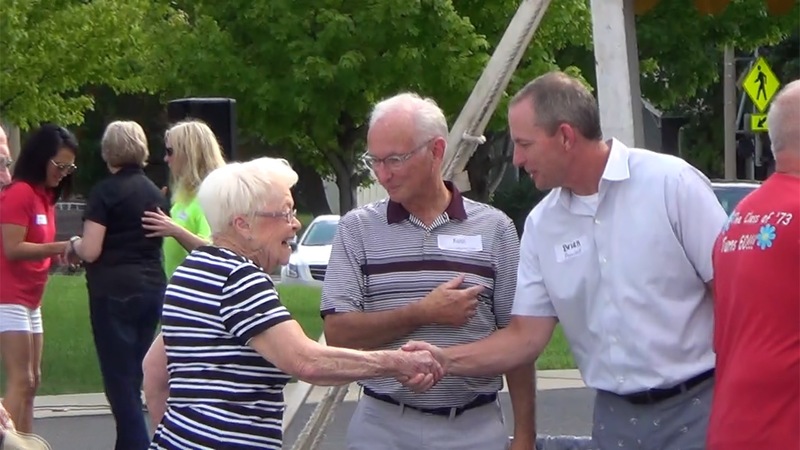 A large tent provided a place for employees, retirees and their families to meet Brian and his family, and to escape the heat and enjoy their meals in the shade. Battle Zone DJ’s laid down some classic tracks for the night’s entertainment, along with announcing the winners of a raffle for some gift cards. It was the perfect evening; full of food, fun, laughter, and conversation. Welcome to the FAMI-ly, Brian, Betsy, Andrew, and Gavin Lopata!